Xing Yi Quan, along with Ba Gua Zhang, and Tai Ji Quan, is one of the Chinese Internal Martial Arts, or Nei Jia Quan (Internal Boxing Arts). 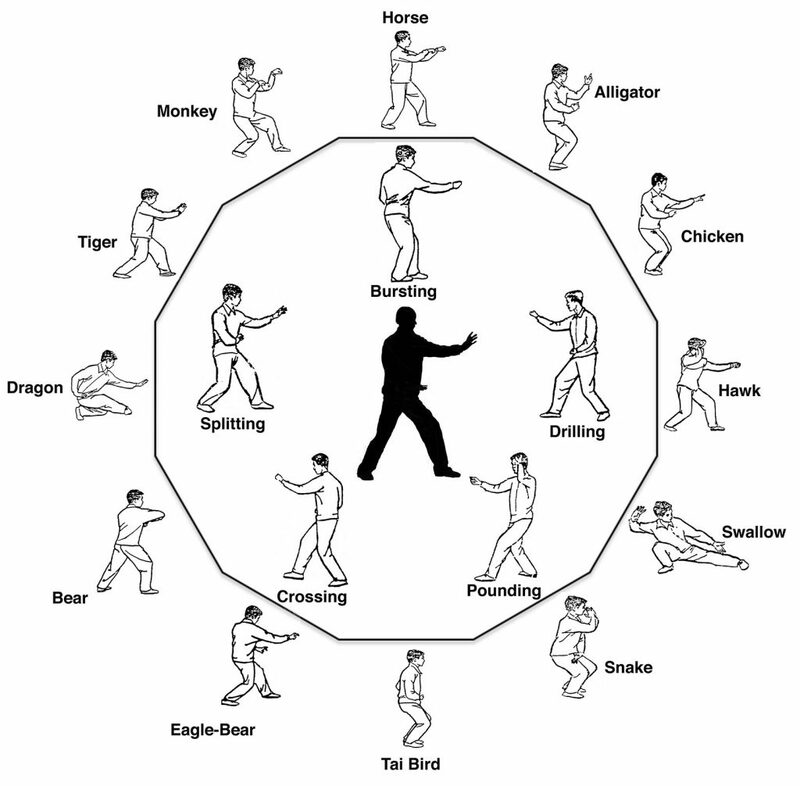 The oldest of the Internal Arts, Xing Yi is known for its efficient and direct self-defense maneuvers. 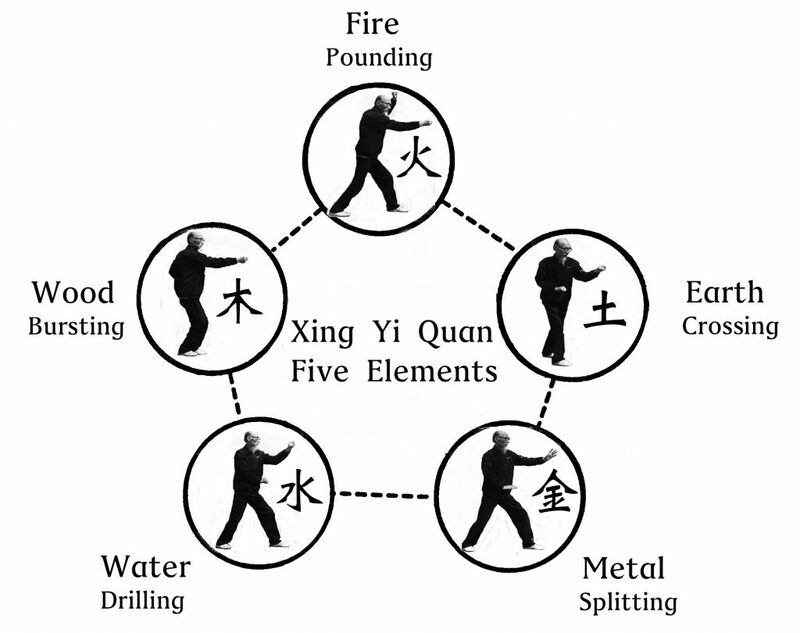 Xing Yi Quan has five key movements, known as The Five Elements, or The Five Fists. Each of the Five Fists has a specific internal action and intention that is both combative and strengthens the internal organs. Literally translated as “Form-Intention Boxing”, Xing Yi Quan emphasizes internal movement within external stillness. Practicing Xing Yi trains the practitioner to actualize the instinctive, hair-trigger reactions of the human body in direct, powerful movements. Xing Yi training focuses on natural, integrated movement, whole body breathing, and the movement of Qi (vital energy), rather than external technique. The foundation of Xing Yi is Qi Cultivation. Cultivating Qi helps the body develop inner strength and a focused intention. The postures and movements of Xing Yi Quan simultaneously arouse and enliven the Qi, so that there is no gap between intention and action, and the body’s energy pathways (meridians) are unblocked and free-flowing. In this way Xing Yi training develops a sensitized awareness of transformation, change and internal connection. Xing Yi Quan is a method of Daoist Inner Alchemy that integrates body, mind and spirit, allowing a return to one’s Natural Self, characterized by True Mind, True Spirit and True Action. Xing Yi Quan is also a very powerful Daoist health practice that promotes longevity and dispels illness. Because Xing Yi exponents in the past were often good fighters, Xing Yi Quan is often pigeonholed as a fighting art, rather than a health practice or spiritual practice. This perception is misleading. Part of what makes Xing Yi Quan a very effective martial art for self-defense is that Xing Yi Quan training draws upon ancient Daoist Meditation practices that transform the body’s internal structure, while simultaneously confronting and dispelling extraneous thoughts to actualize true Intention. Training in Xing Yi results in an unmediated mind that is without artifice. Xing Yi simultaneously develops natural, appropriate, whole-hearted, whole-body behavior and movement. These in turn produce an explosive, coordinated power originating from the unified action of the entire body, mind and spirit. Xing Yi Quan is the most ancient of the internal Chinese martial arts. The first known practitioner of Xing Yi Quan was Ji Long Feng (Ji Ji Ke), who lived in the late Ming dynasty at the end of the 16th century. Because Master Ji’s art was based on ancient spear arts, the roots of Xing Yi Quan may go back as far as the Song Dynasty (960–1279). Ji Long Feng had two famous students – Cao Ji Wu and Ma Xue Li. Cao Ji Wu competed against the top martial artists of his time in the Imperial Martial Examinations. He placed first, thereby spreading the fame of Xing Yi Quan. Cao Ji Wu, in turn, passed on Xing Yi Quan to Dai Long Bang and Dai Lin Bang, who were brothers. Dai Long Bang further developed Xing Yi Quan and transmitted the art to Xing Yi Quan’s most famous practitioner and teacher, Li Luo Neng (Li Neng Ran), whose skill was so great, he was called “Divine Fist Li.” Xing Yi Quan, as we know it today, is largely based on the teachings of Li Luo Neng. There are many styles of Xing Yi, and although training is similar in all styles, different styles have somewhat different emphasis and training methods. To generalize the differences between the three, the Shanxi branch emphasizes a soft, flexible, hidden power (soft on the outside and hard inside), while Hebei styles are more direct and powerful (hard outside and soft inside). The Henan branch is sometimes called the “Muslim Style,” because it was handed down within the China’s Muslim community. 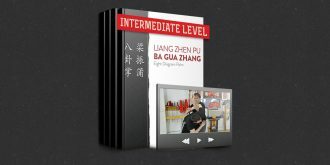 The style of Xing Yi passed on by Master Li Gui Chang to Tom Bisio and Internal Arts International comes from the Shanxi branch of Xing Yi Quan. The Xing Yi Quan taught by Internal Arts International is directly handed down to us from Master Li Gui Chang (1913-1999). Born in Taiyuan, in Shanxi Province, Li Gui Chang’s expression and transmission of Xing Yi Quan is powerful and deep. 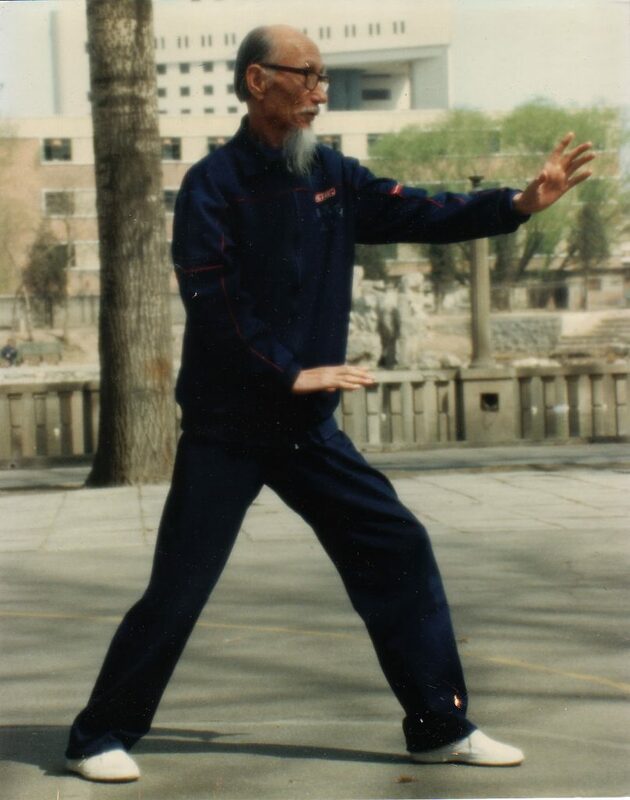 Master Li’s teacher, Dong Xiu Sheng, was a practitioner of traditional Chinese medicine and spent most of his life traveling in Northern China studying martial arts and treating patients. 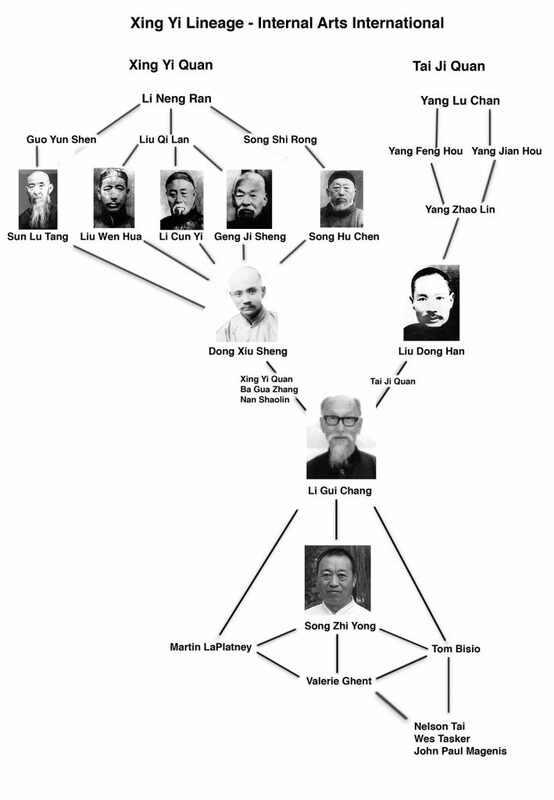 Because of his travels, Dong was able to study and interact with many famous Xing Yi practitioners from both the Hebei and Shanxi branches, including Liu Wen Hua (the son of Liu Qi Lan), Geng Ji Sheng, and Sun Lu Tang. Li Gui Chang’s expression of Xing Yi exemplifies the Shanxi branch of Xing Yi Quan, emphasizing soft, flexible, hidden power, and overcoming firmness with gentleness, rather then relying on firm power or physical strength. Master Li passed his art on to disciples, including Master Song Zi Yong and Tom Bisio. Master Song, Tom Bisio’s senior school brother, also passed his insights and experience on to Tom Bisio, and to Valerie Ghent. Valerie is Master Song’s only American Disciple. San Ti Shi is a form of standing meditation in which one senses deeply inside the body in order to cultivate an inner awareness of the mind and body, and gain insight into the subtle internal movements and transformations that are unfolding internally. A byproduct of this process is the development of inner stability, power, agility, and unification of body, mind and spirit. The practice of Pi Quan is integral to Xing Yi Quan. 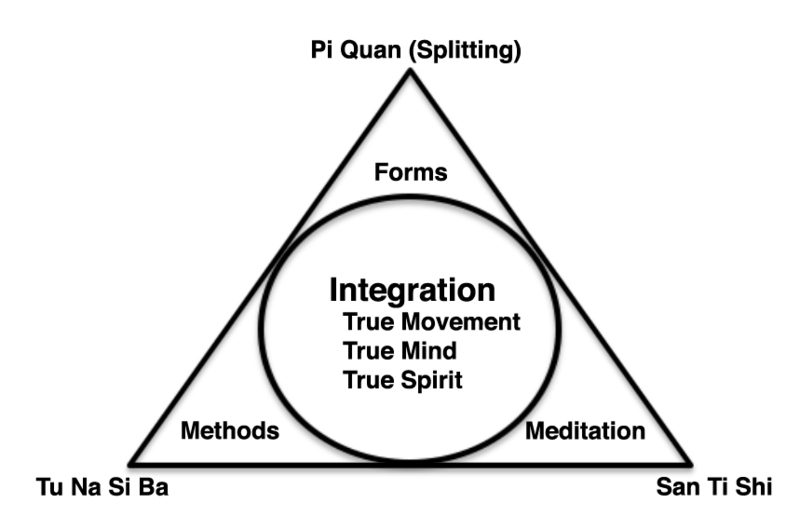 Pi Quan is the root of all other movements and forms. Pi Quan acts as a counterpoint to San Ti Shi by training inner stillness within external movement, while carving away the non-essential to discover the inner core of one’s natural movement. Pi Quan develops integrated whole body power, linked to inner will and focused intention. Together Pi Quan and Tu Na Si Ba stimulate the Micro-Cosmic and Macro-Cosmic Orbits. These internal circulations of Qi, breath, essence and spirit actualize inner transformation and transcendence. The key training methods of San Ti Shi, Tu Na Si Ba and Pi Quan fuse into practice of the Five Element Fists, which regulate and harmonize the internal organs while developing different aspects of internal movement, martial skill and internal strength. The seemingly simple and direct Five Element Fists are actually composed of balanced internal spirals that move and generate power in all six directions simultaneously – up, down, front, back, right, and left. The refined movement of Five Element practice creates the ability to instinctively and instantly transform in accordance with the changing situation, allowing one to bypass the conscious mind, thereby increasing speed and power. Advanced Xing Yi training includes the Twelve Animal Fists, Xing Yi Quan Linking Forms, Xing Yi Spear (Qiang), Straight Sword (Jian), the Short Stick (Bian Gan), and many partner exercises. Dragon (Long Xing), Tiger (Hu Xing), Monkey (Hou Xing), Horse (Ma Xing), Alligator (Water Lizard – Tuo Xing), Rooster (Ji Xing), Swallow (Yan Xing), Sparrow Hawk (Yao Xing), Snake (She Xing). Tai Bird (Tai Xing), Eagle-Bear (Ying Xiong Xing), Bear (Xiong Xing). Each of the Twelve Animals expresses a different internal and external body configuration that are variations (or extensions) of Pi Quan and the Five Element Fists. Xing Yi weapons include Xing Yi Spear (Qiang), Straight Sword (Jian), the Short Stick (Bian Gan). The Sword and Spear help develop body awareness and internal connection. Both weapons train the Qi, intention and spirit, all of which must be extended out to the tip of the weapon. The spear and sword are also Daoist tools that cut through delusion and pierce through illusion. Training with these former battlefield weapons enhances internal awareness and refines internal movement. The Short Stick (or cane or umbrella) offers a modern self-defense weapon. At this level one begins learning the way of Xing Yi Quan and the training methods. This is sometimes called “laying the foundation.” The stillness and tranquility cultivated in practice begin to calm the heart and spirit, so that one starts to let go of impulses and judgments. The body and mind become harmonious and calm. The Original Jing (symbolized by the Tiger) and Original Qi (symbolized by the Dragon) can begin to harmonize, allowing the True Vital Breath (Zhen Qi) to circulate more freely. As the Dragon and Tiger harmonize, mind and spirit become calm. The body becomes more rooted and stable. On a more basic level, this Level involves understanding the training method and inculcation of the basic alignments into the body. By following the correct training method, real self-cultivation begins. Circulation and purification of the Zhen Qi (True Qi) through unification of the Heart-Mind and the breath attunes the energies and spirits of the five organs (Liver, Heart, Spleen, Lungs, and Kidneys), so that the body’s energies and awareness integrate. The Five Elements and Five Fists now unite into one. The circulation of inner Qi stimulates internal transformation, promoting a clear and present consciousness and spirit. The body has a feeling of internal connectedness and power, the bones and tendons become strong, the mind is tranquil, and the eyes bright. At this level, the body is integrated with the intention; one moves and responds in a unified, connected fashion. This stage is one of realization, clarity and expansion. Thoughts and pre-conceptions fall away. There are no barriers. Obstacles to one’s internal awareness are eliminated through inner stillness and emptiness. One can see through to the Original Mind and Original Spirit. The body and mind are light and agile, able to change and transform according to the situation. The spirit is luminous. The methods and techniques are internalized; one can change smoothly and freely in accordance with changing circumstances.